This entrance to the Louvre Museum in Paris was named after Jacques Jaujard, the man who saved the museum’s art from destruction during World War II. 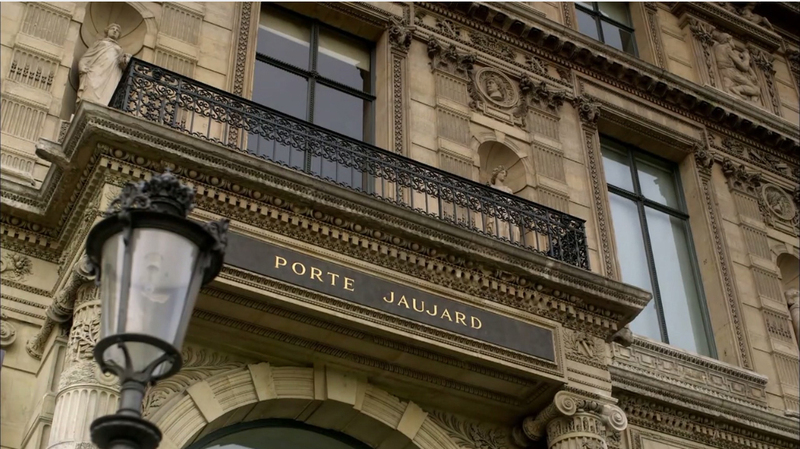 The Man Who Saved the Louvre is the intriguing story of Jacques Jaujard. In the late 1930s, with war in Europe looking more and more likely, Jaujard, director of the French National Museums, drew up an elaborate evacuation plan, to keep the country’s cultural heritage safe from bombs and Nazi art collectors, from Hitler on down. This was his own idea, no one asked him to do it. 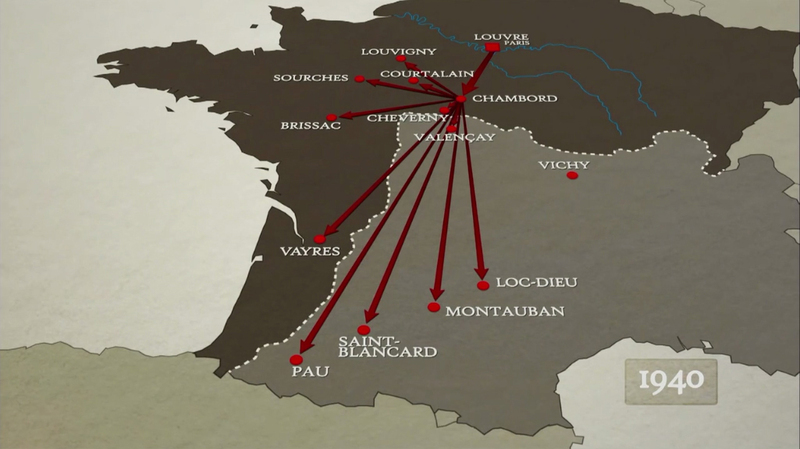 Near the end of August 1939, 4,000 works of art were packed into crates, ready to be sent to châteaux in the countryside. Art from the Louvre included the Mona Lisa and the sculptures the Winged Victory of Samothrace and the Venus de Milo. During World War II the art treasures of the Louvre were dispersed to a number of chateaux for safekeeping. While many paintings were removed from their frames and rolled up, others were too delicate for that treatment. Géricault’s huge Raft of the Medusa was loaded onto an open truck, protected only by a tarpaulin. The painting was so large (five metres high, seven metres wide) that it knocked down power lines. Museum staff members looked after the art works in their temporary homes throughout the war. 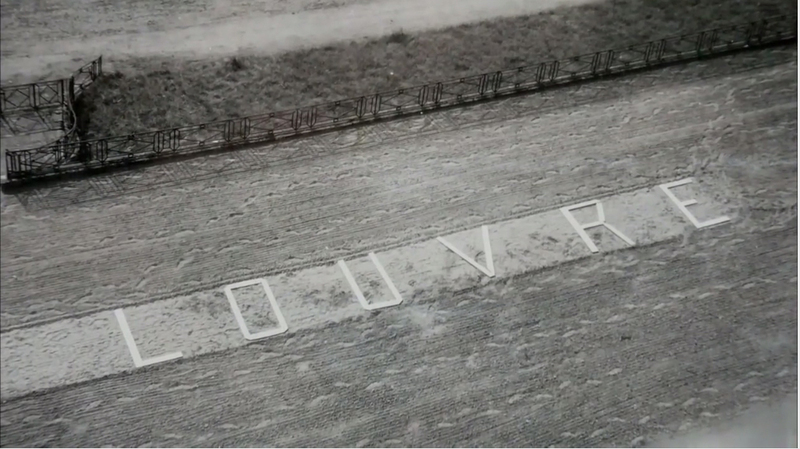 They protected them from heat, cold and humidity, practiced fire drills every day, and wrote LOUVRE in big letters on the lawns of the châteaux to alert any Allied bombers to the treasures. Some items were moved as many as five times before the war was over. Warnings were placed on the ground to alert Allied bombers to the presence of art treasures. Intrigue and a love interest is provided by one of Jaujard’s contacts in the French Resistance. The agent with the codename “Mozart,” turns out to be a glamourous former actress. The film uses photos, archival footage, Jaujard’s notebooks and testimony from witnesses to tell the story. An animated version of Jaujard makes the occasional appearance as well. The Man Who Saved the Louvre is presented in a more engaging way than another FIFA selection about art during World War II, the Austrian film Hitler’s Mountain Of Stolen Art. That film, which will also be shown on Wednesday, March 25 (at 6:30 p.m.) looks at a treasure trove of stolen art that was stashed in a salt mine in Altaussee, Austria. Once he realized that he was losing the war, Hitler gave orders to blow up the mine and the art with it. His order was not carried out, and the filmmakers look at a number of candidates in an effort to figure out try to find out who saved the art. The film just seems to go around in circles and has far too many interviews where the translation is spoken and not given via subtitles. Wednesday, March 25, 2015, at 4 p.m., at the Maxwell Cummings Auditorium, Montreal Museum of Fine Arts, 1379 Sherbrooke St. W.
The Festival International du Film sur l’Art, known as FIFA, runs until Sunday, March 29, 2015. Visit the web site www.artfifa.com for more information. Wow, I didn’t know. That’s wonderful that they were able to save the art so we could enjoy it today.